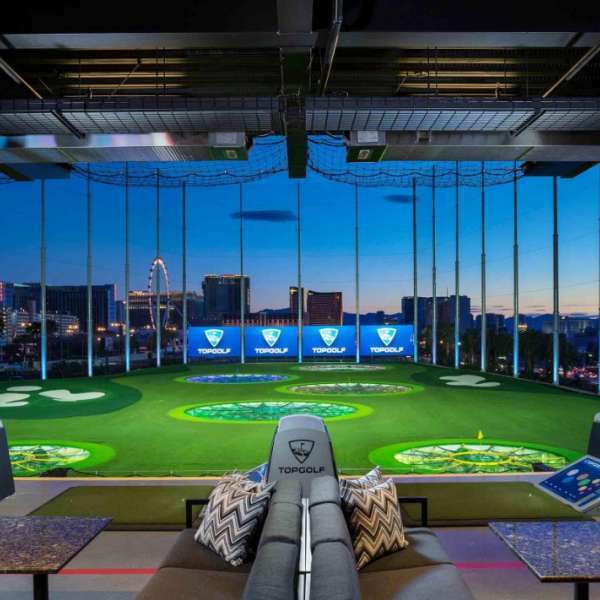 Topgolf is the hottest new concept on the Las Vegas scene. 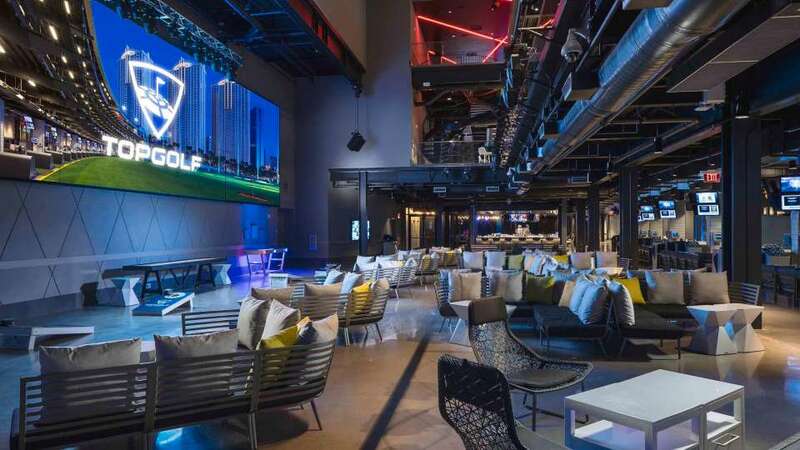 A four-level entertainment venue with interactive golf games and balls that score themselves, Topgolf is unlike anything you’ve ever experienced. 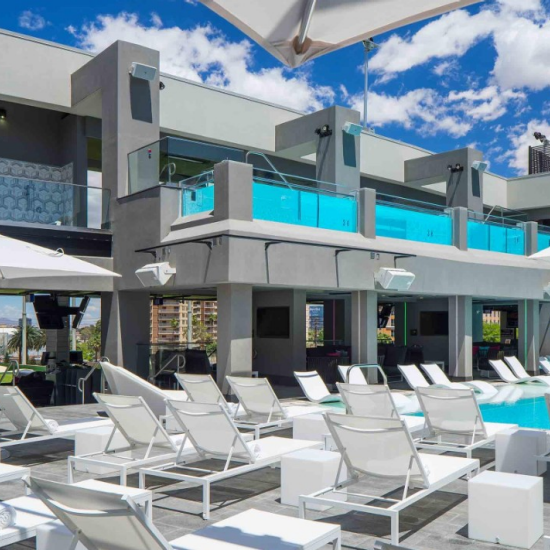 It features climate-controlled hitting bays, hundreds of HDTVs, a stage for live concerts, water features with cabanas, dynamic event spaces, delicious food and more. 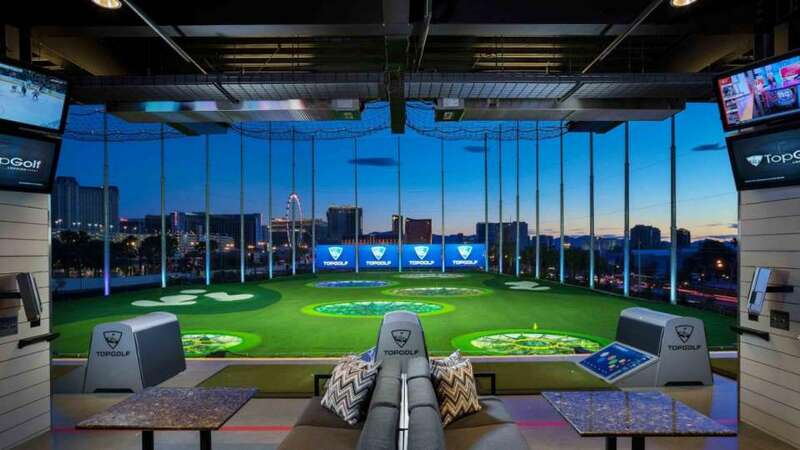 Topgolf is the hottest new concept on the Las Vegas scene, don't wait on booking your Topgolf getaway. 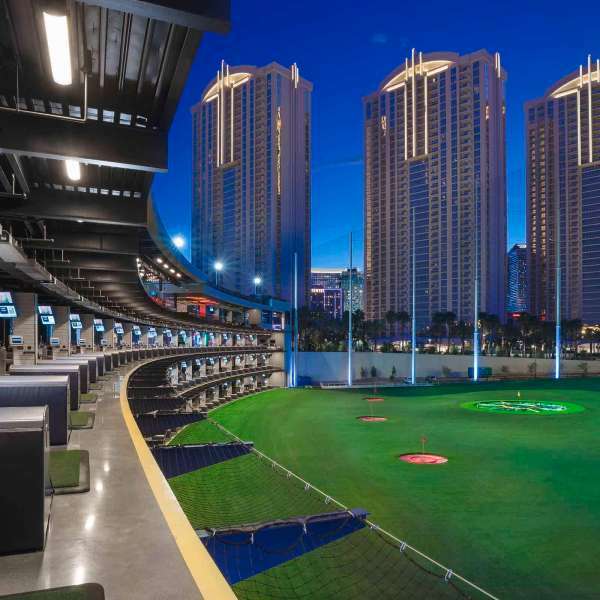 A unique lifestyle apparel and gift store offering a wide assortment of golf accessories, Topgolf Las Vegas logo'd apparel, souvenir items and gifts for all ages. 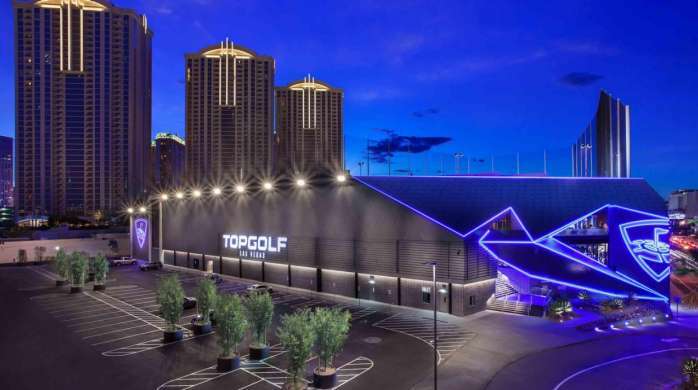 Complimentary shuttles will be available from the Topgolf Lounge located at MGM Grand main lobby to Topgolf Las Vegas. Brunch poolside at the Hideaway Pool. Enjoy a delicious brand-new chef-driven brunch menu. $5 Mimosa & Bloody Mary Specials available. Take a complimentary vinyasa yoga class hosted by TruFusion and enjoy $5 mimosa specials before, during and after class. 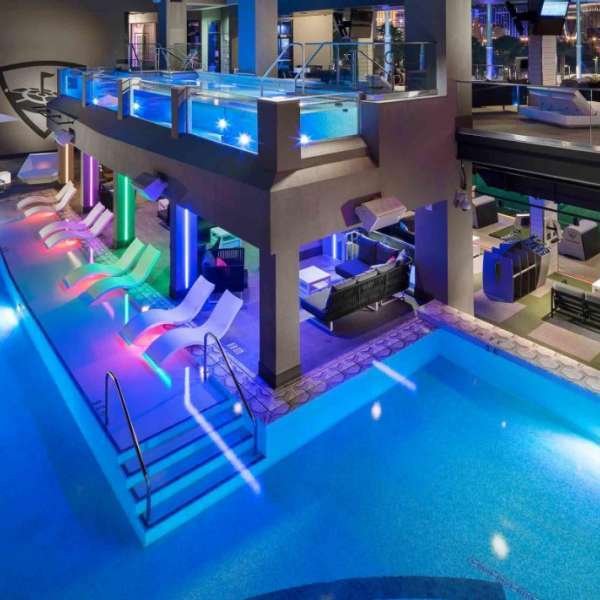 Listen to live DJs perform every weekend at the Hideaway Pool at Topgolf. Lounge in poolside cabanas and enjoy cocktails at the swim-up bar. No cover and open to all guests 21+ over. Check out this locals offer with bays starting from $24. 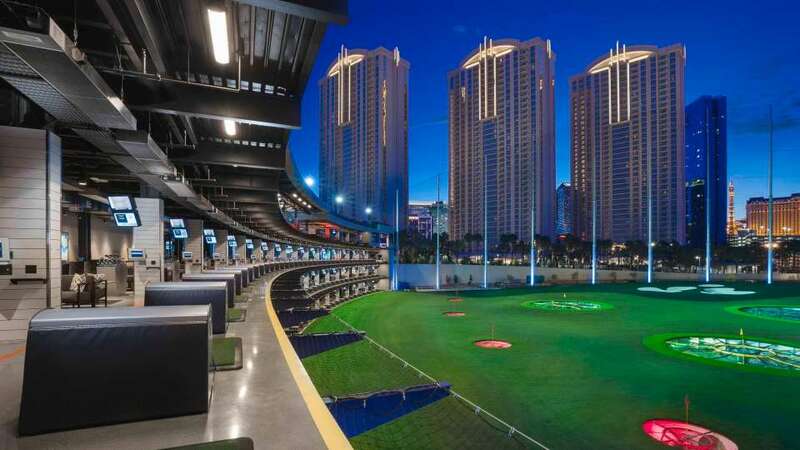 Topgolf Las Vegas is located off of Koval Lane at MGM Grand Hotel & Casino on The Strip. From the Casino, pass the Lobby Bar, turn right and walk towards the KA Box Office. Just past Wolfgang Puck, turn right and walk into The District. Continue through The District, past Craftsteak, PUB 1842 and Grand Garden Arena. 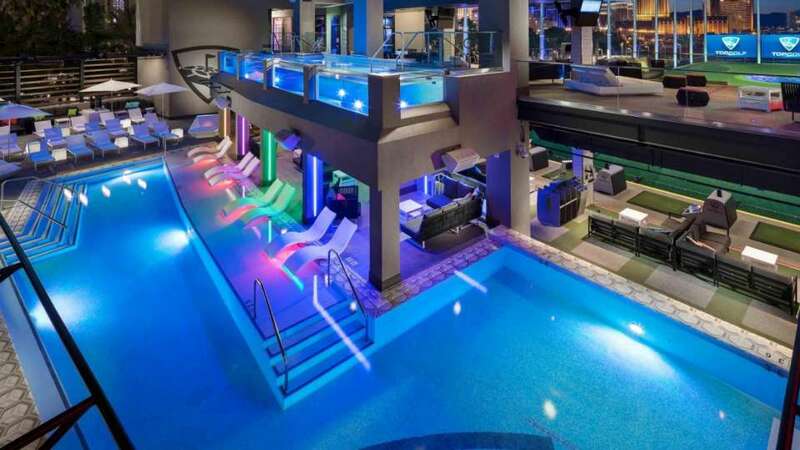 When you reach the Spa Mezzazine, take the escalators down towards the pool. At the entrance to the pool, turn right and continue through the hall. Exit the set of glass doors to your left before you reach the Conference Center. 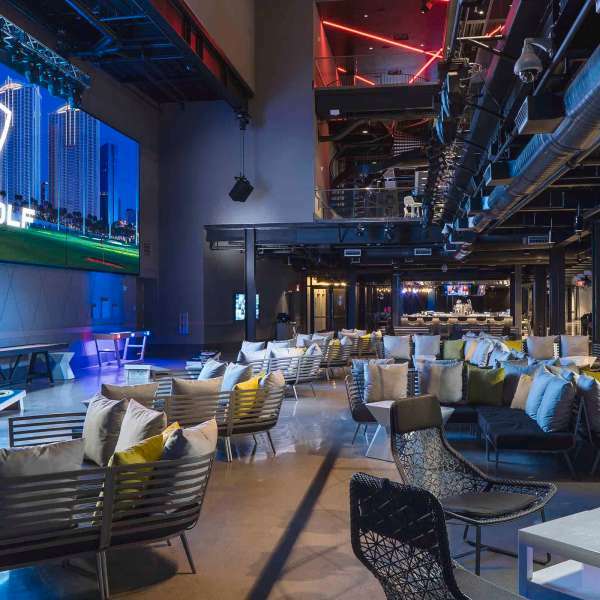 Walk through the Topgolf/Wet Republic walkway and go through the gate located by Wet Republic. Topgolf Lounge is located across from the Front Desk and is a designated wait area for those using Topgolf shuttle services. Shuttles are complimentary and available Mon-Fri 11:00 AM - 2:00 AM and Sat-Sun 9:00 AM - 2:00 AM. Las Vegas is becoming one of America’s most exciting golf destinations and MGM Grand is at the forefront with four championship courses.